Where to visit in Iceland in Winter? Where to visit in Winter? Iceland is wonderful in winter. Yes it is cold and yes you can get difficult weather. But when you reach a beautiful place, no other human in sight, just you and nature; it’s worth the effort. Iceland’s biggest tourism season is in summer, from June until September. Not only can you get cheaper flights in winter but the crowds of people mostly disappear. 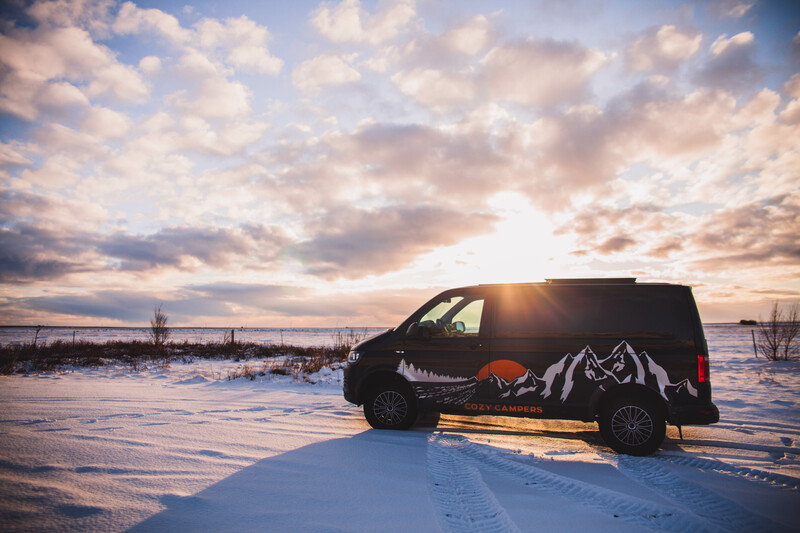 When you drive around Iceland in a campervan you have the freedom to explore without having to rush back to the city before dark. 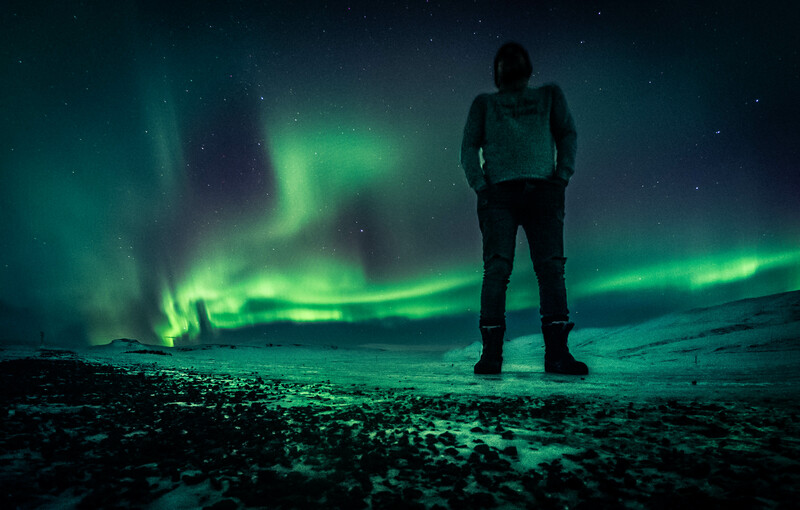 Talking about darkness, Iceland is one of the most sparsely populated country in Europe. There is minimum light pollution so this tiny North Atlantic island is the perfect place for seeing the Northern Lights. But mind you, the Aurora Borealis is a natural phenomenon, if you catch a sight of them, you are in luck. If you want to really get away from any crowd we recommend visiting Borgarfjörður in the West of Iceland. On your way out of Reykjavík you can either take the tunnels under Hvalfjörður fjord or take the scenic drive. If you have the time, Hvalfjörður is a true hidden gem. This deep fjord has a number of towering mountains, pretty waterfalls and rocky beaches. If you visit in autumn you can ask locals for tips for blueberry picking. From Hvalfjördur you follow the signs towards Borgarnes for around 30 minutes. Before you get to the big bridge to Borgarnes make a right hand turn towards Reykholt. 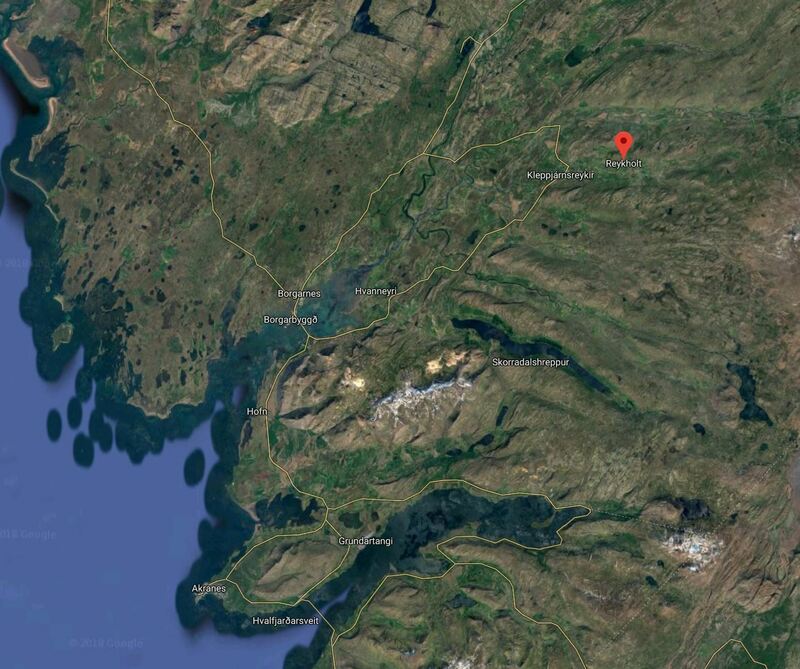 You are now in Borgarfjörður fjord. Here you can see geysers, scenic waterfalls and take a dip in the geothermal pool at Krauma. After finishing the drive you end up in the town of Borgarnes. There are a number of swimming pools along the way. Going swimming in the middle of winter is as Icelandic as it gets! Another great location is the Snæfellsnes Peninsula. The biggest attraction of the peninsula is Snæfellsjökull glacier. This famous glacier is the star of Jules Verne 1871 novel Journey to the Center of the Earth where Snæfellsjökull glacier held the entrance to the center of the earth! The drive around the peninsula is quite beautiful and withholds many places worth stopping by. But make sure to plan ahead! There might be limited gas stations and grocery stores ahead. 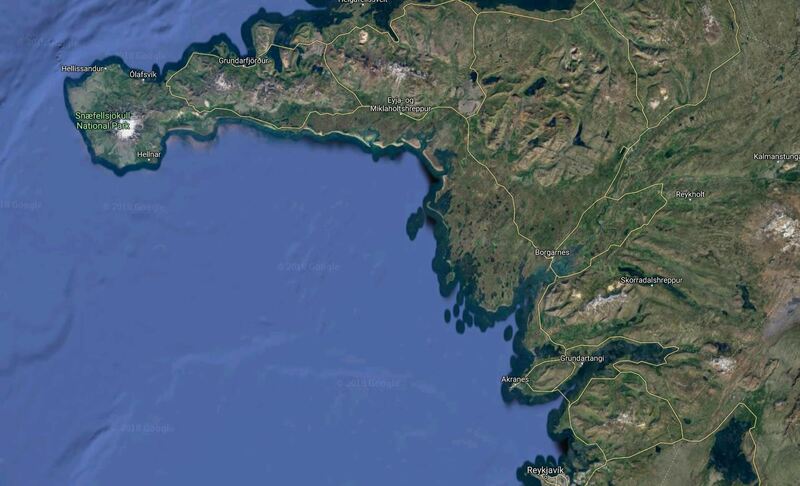 Above is a map of Snæfellsnes Peninsula. Here is a list of camping sites in the West of Iceland.